Sustainable development requires the development and promotion of environmental management and a constant search for green technologies to treat a wide range of aquatic and terrestrial habitats contaminated by increasing anthropogenic activities. Bioremediation is an increasingly popular alternative to conventional methods for treating waste compounds and media with the possibility to degrade contaminants using natural microbial activity mediated by different consortia of microbial strains. Many studies about bioremediation have been reported and the scientific literature has revealed the progressive emergence of various bioremediation techniques. 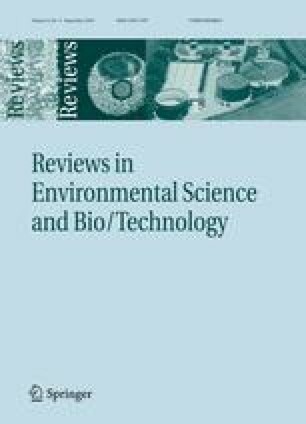 In this review, we discuss the various in situ and ex situ bioremediation techniques and elaborate on the anaerobic digestion technology, phytoremediation, hyperaccumulation, composting and biosorption for their effectiveness in the biotreatment, stabilization and eventually overall remediation of contaminated strata and environments. The review ends with a note on the recent advances genetic engineering and nanotechnology have had in improving bioremediation. Case studies have also been extensively revisited to support the discussions on biosorption of heavy metals, gene probes used in molecular diagnostics, bioremediation studies of contaminants in vadose soils, bioremediation of oil contaminated soils, bioremediation of contaminants from mining sites, air sparging, slurry phase bioremediation, phytoremediation studies for pollutants and heavy metal hyperaccumulators, and vermicomposting. We wish to express our deepest gratitude to all the researchers whose valuable data as reported in their respective publications and cited in this review have been of considerable significance in adding substance to this review. We are also grateful to our other colleagues and the anonymous reviewers whose constructive criticisms have benefited the manuscript, and brought it to its present form.